I have been meaning to make these for a while now and I finally got around to making them! I have seen them on Pinterest and I thought they would be fun to make, not to mention the color choices are endless! 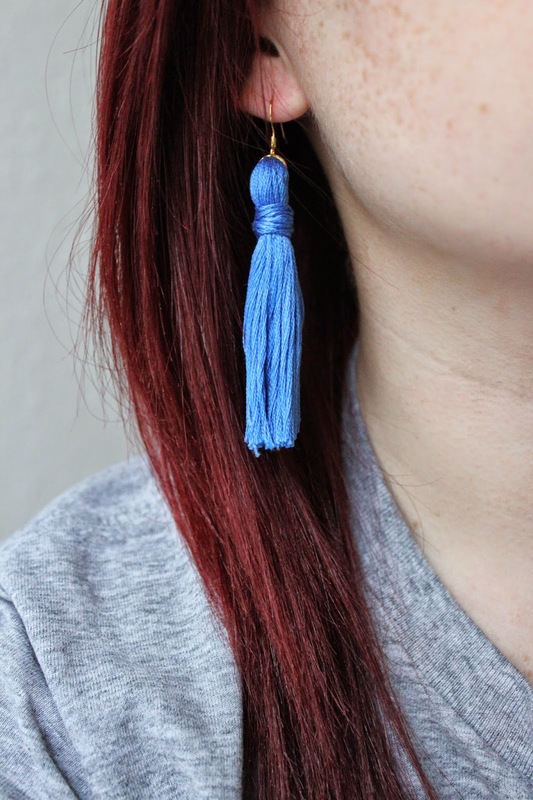 Here is how I made these adorable tassel earrings for less then $5! I photographed 4 embroidery floss pieces, but you will only end up needing 3, a whole piece makes one earring and then you need the extra for the top tie! 1. Decide how long you want the earrings to be. My hands are super small so I just held them up to my ear and went off the width of my hand. You can make them any length you want! 2. Start to wrap the embroidery floss around your hand, making sure to keep it neat. This is how it should look when you get to the end of the embroidery floss. 3. Attach a jump ring around the looped floss. this will be where the tassel will connect to the earring wire. 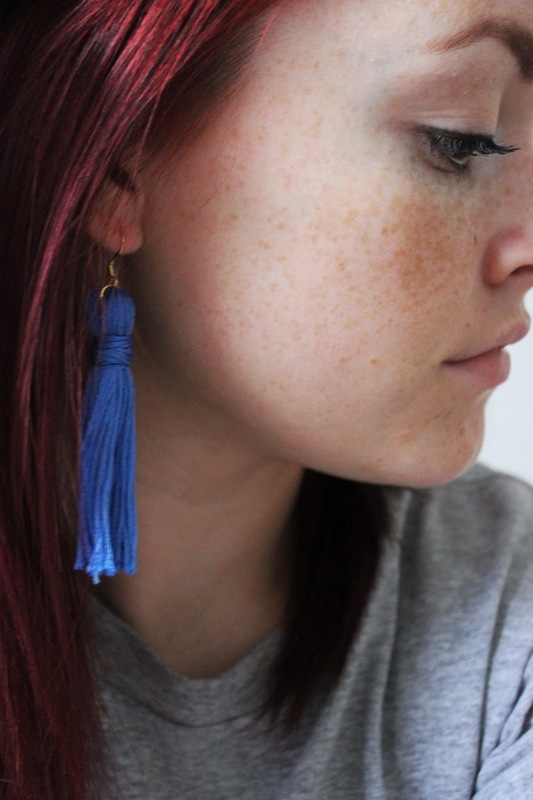 Make sure to not forget any of the strands because that will ruin the look of the earring! 4. Take the extra embroidery floss and tie a knot around where you want the top of the tassel to end. Make sure you leave a little string after tying it so when you are finished wrapping you can tie a knot to keep it tight! 5. Cut the loops so they are strands. 6. Attach the earring wire and you’re done! See how easy they are to make! Not to mention there is so many color choices in the embroidery floss so you can make a ton of these for multiple outfits! Enjoy and share your creations with me on my Facebook page or Twitter! I would love to see them!